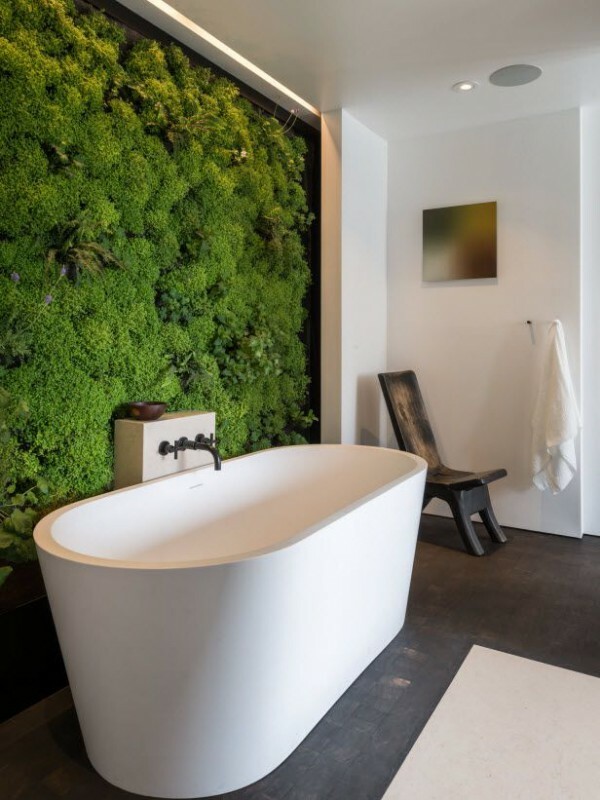 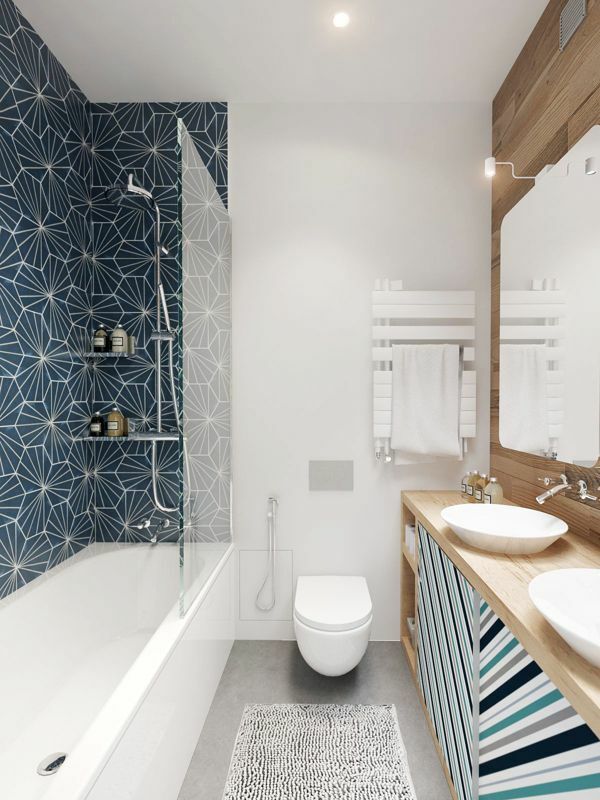 Feature walls make a beautiful addition to the living room, bedroom, and even kitchen but this decoration method can easily be used in the bathroom as well. 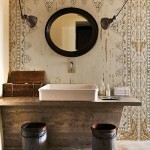 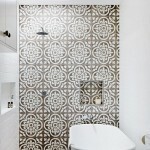 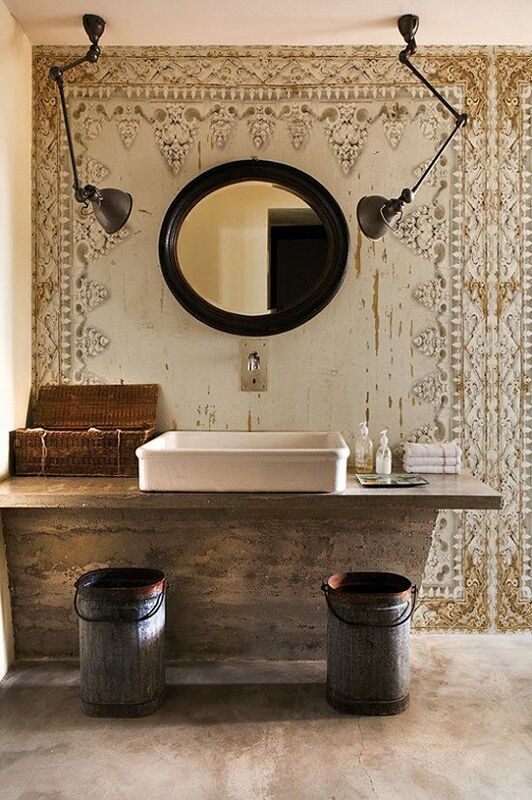 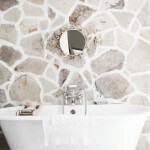 If you want to add character or update your bathroom a feature wall is all you need. 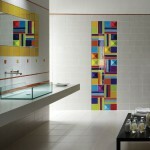 A feature wall is usually the one that draws all the attention and focus. 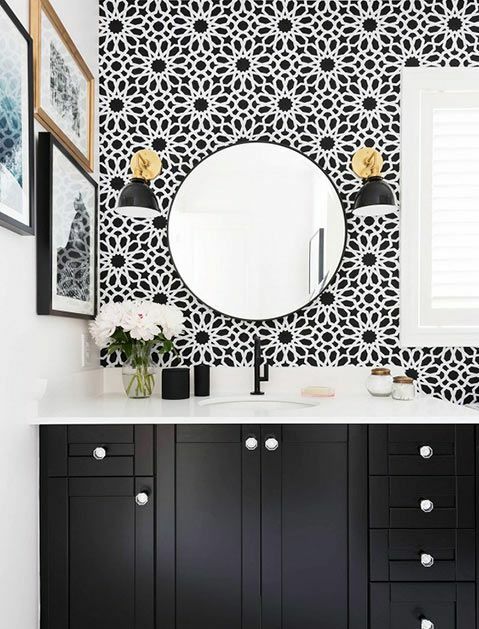 In the living room this can be done with wallpaper, artwork, or some other wall art while in the bathroom it’s usually done with tiles or rarer wallpaper. 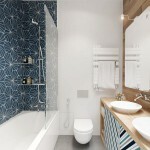 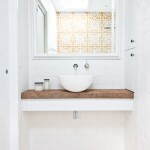 Both can make a huge difference in the bathroom interior. 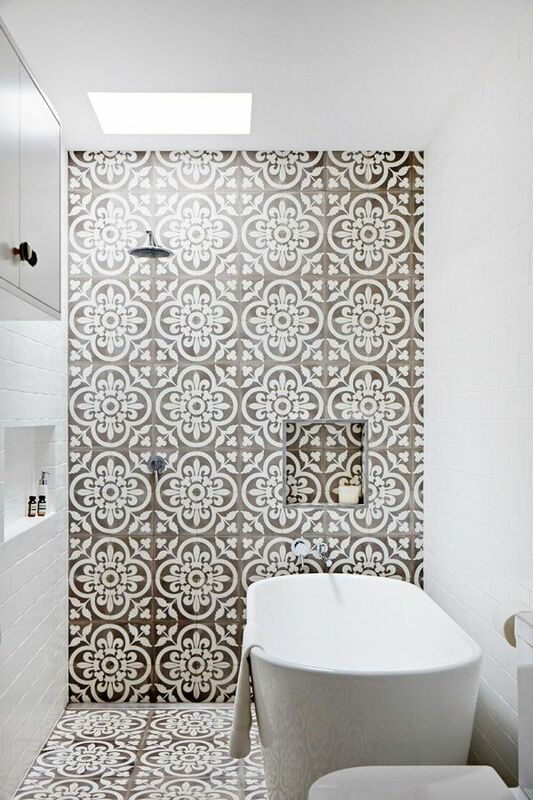 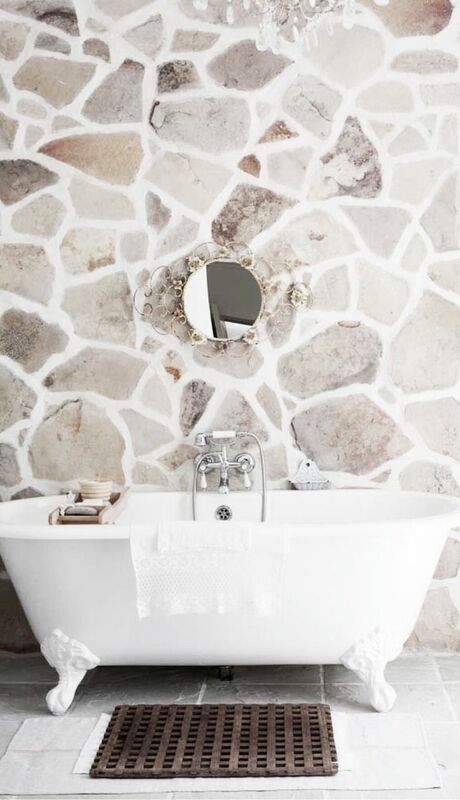 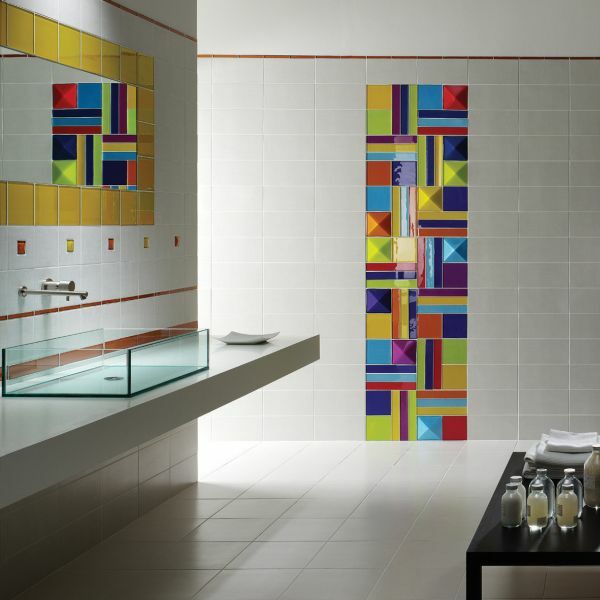 A white bathroom will contrast nicely with bright patterened tiles adding more character to it. 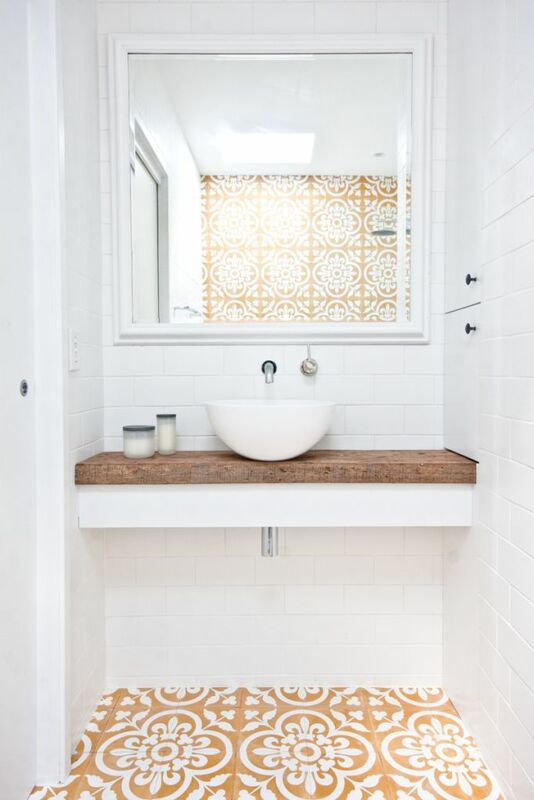 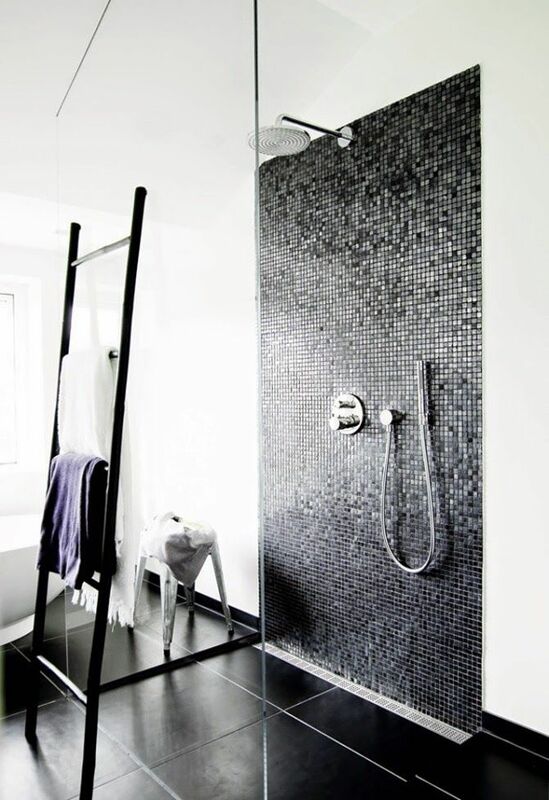 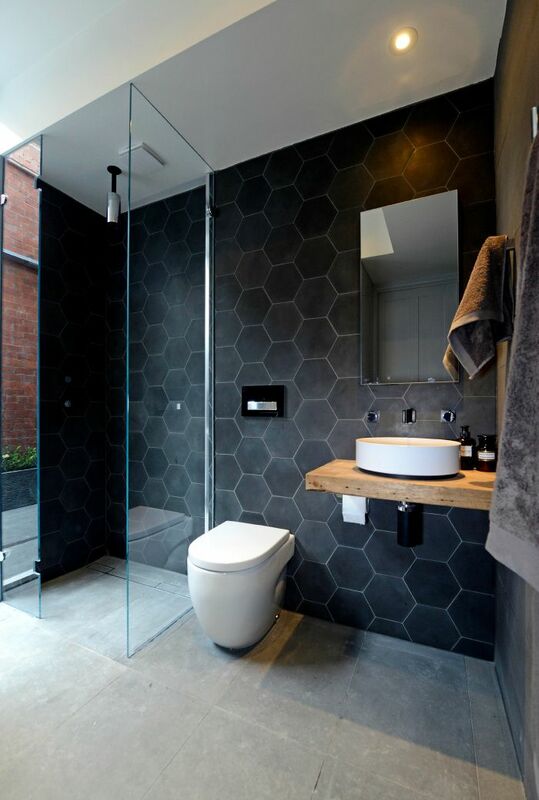 Bathroom feature walls are usually the ones near the bathtub or in the shower but we like the ones that accentuate the mirror and vanity instead.